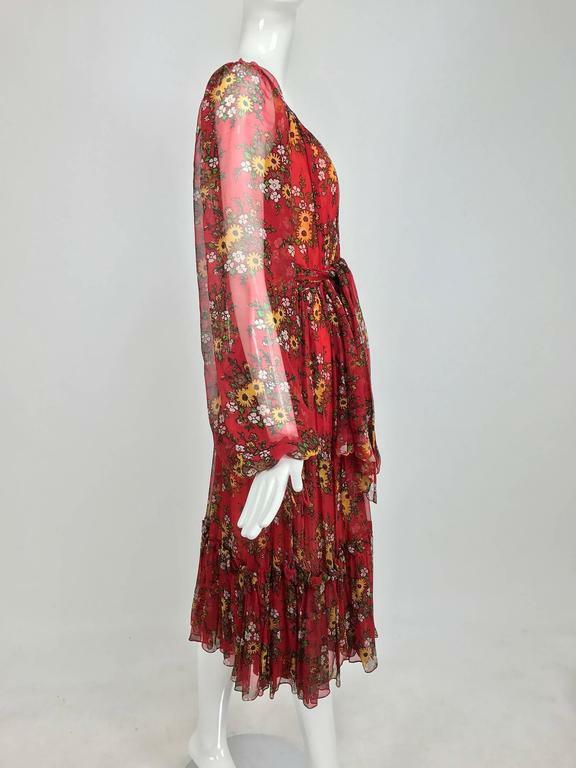 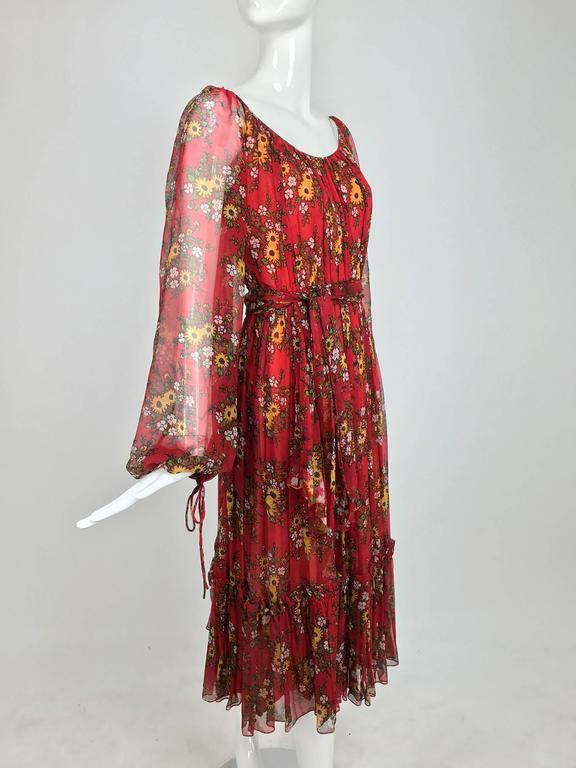 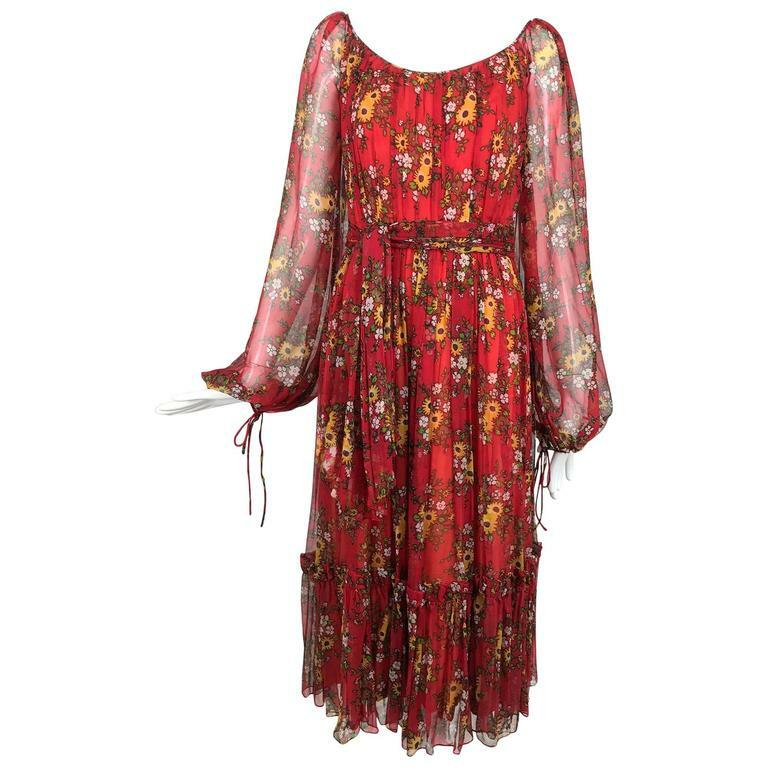 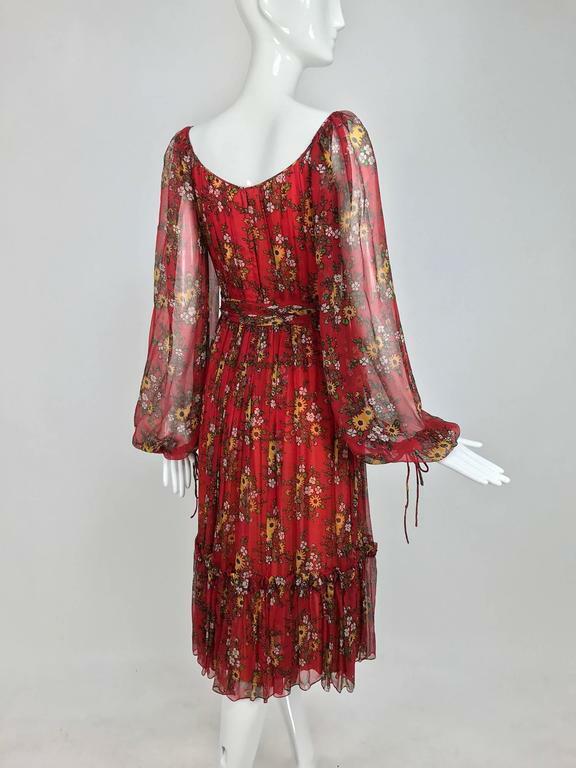 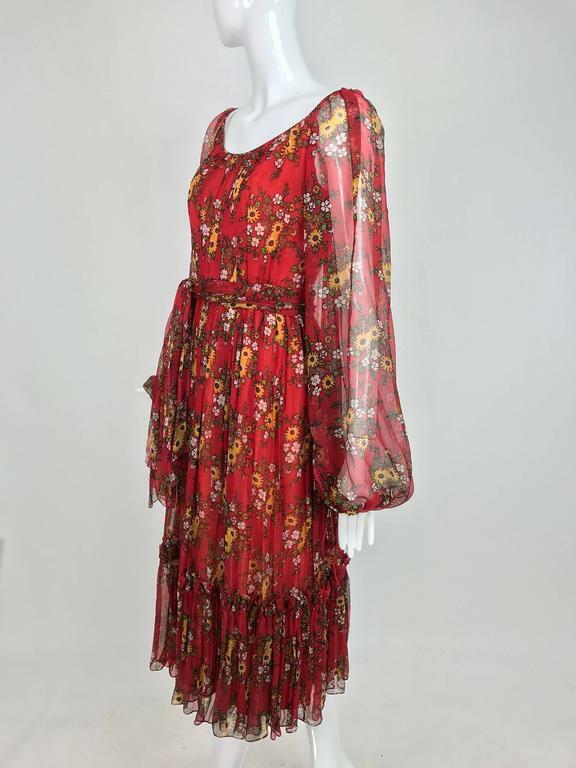 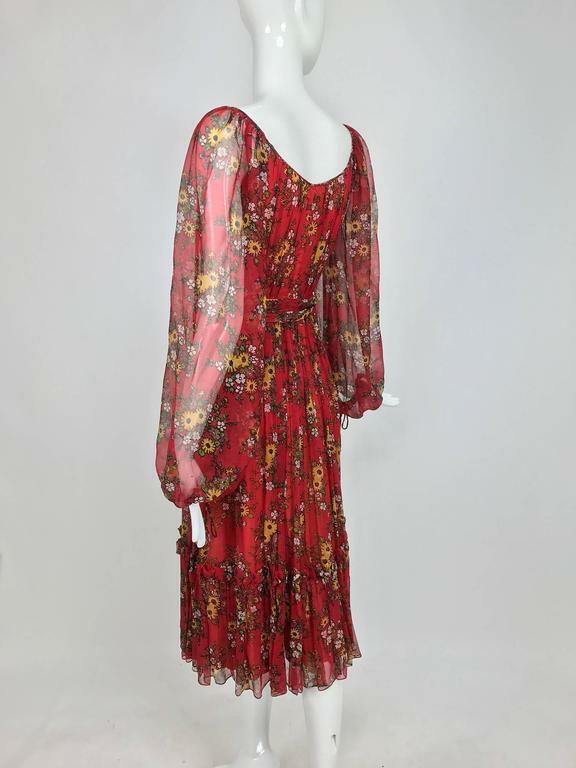 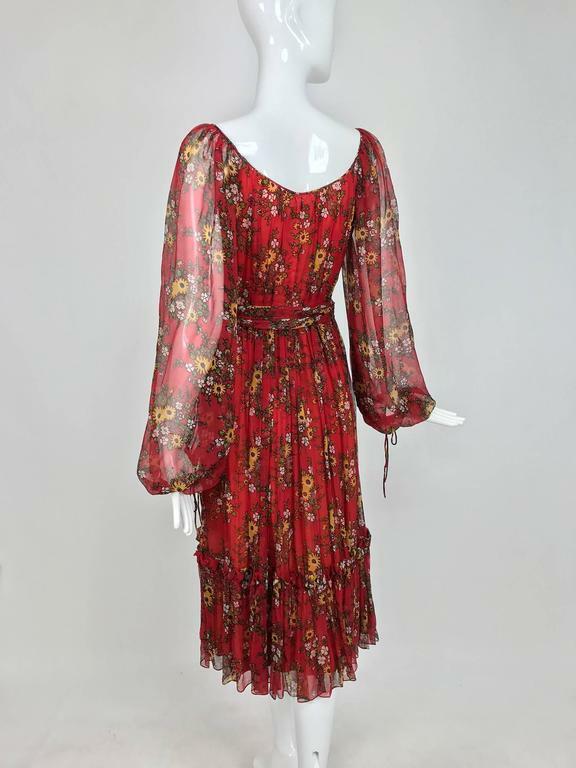 Bohemian style peasant dress from the 1970s, labeled House of Arts...Sheer silk in dark red with a floral print...Scoop neckline, raglan sleeves with tie cuffs...Full gathered skirt with a deep ruffle hemline...Together with the original self tie sash...A very beautiful dress for day or evening...Marked size 6, it fits like an extra small... 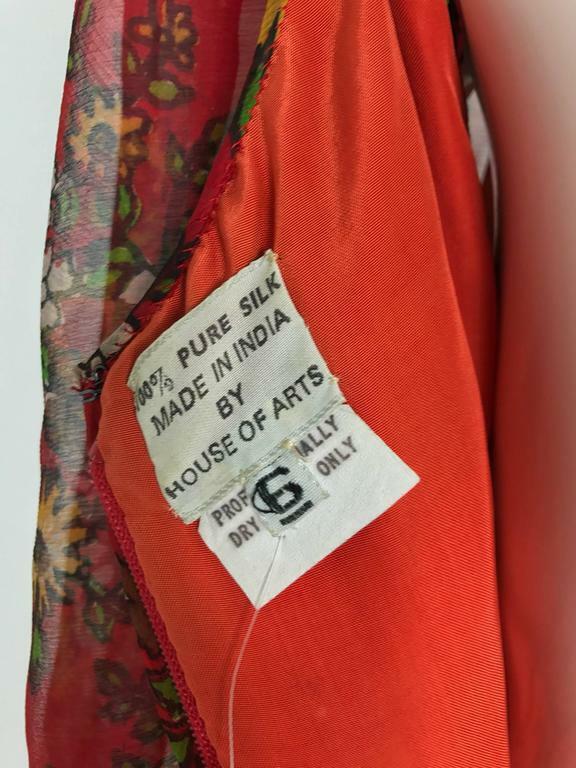 In excellent wearable condition... All our clothing is dry cleaned and inspected for condition and is ready to wear...Any condition issues will be noted...For visual comparison our mannequin is a size 4 Please check the measurements provided below and compare with your own measurements for the best possible fit! 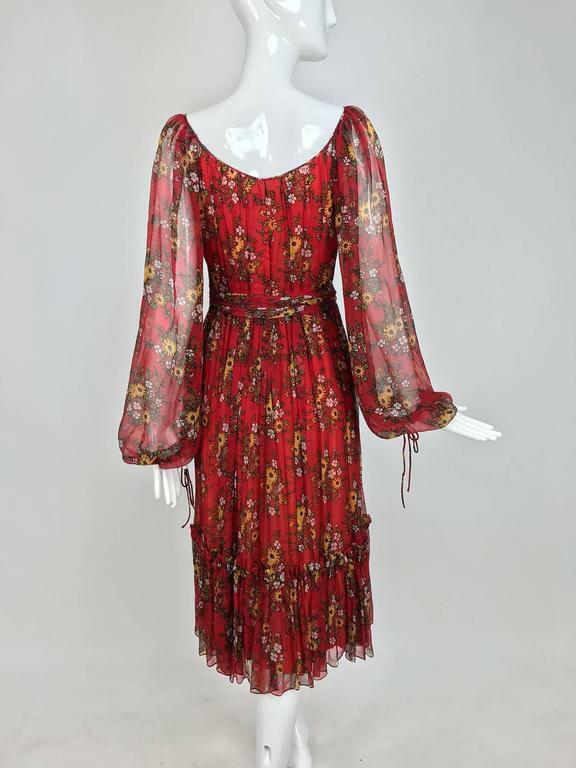 Please contact us if you have any questions about this item or need more photos… Measurements are: Bust 32" Waist 26" Hip Free Raglan sleeve Sleeve length 26" Shoulder top to waist back 14 1/2" Waist back to hem back 31"
Cotton jersey has stretch and fits up to a size 6 very nicely. 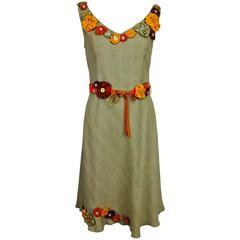 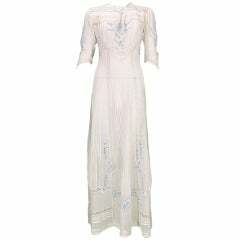 Bodice is knit and fits snug to the body, dating to around the 1950s. 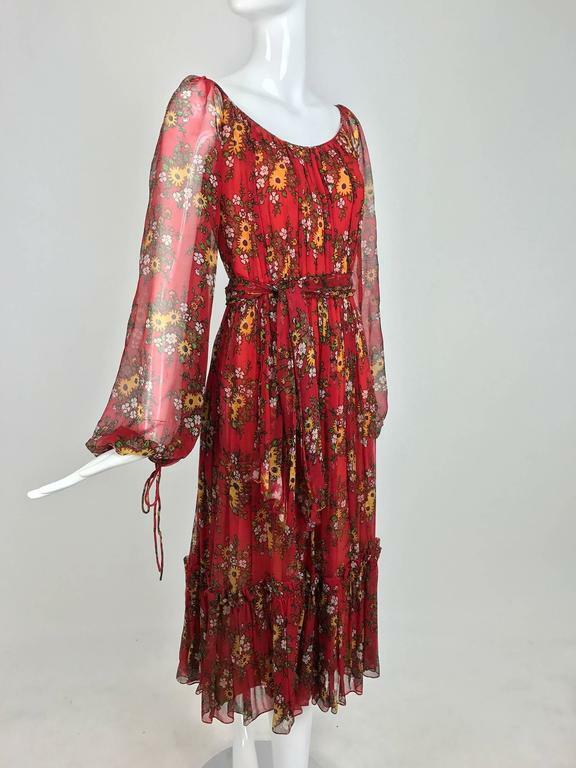 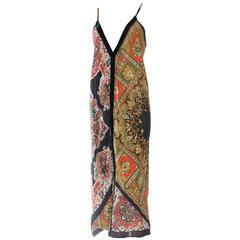 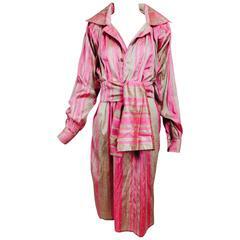 Skirt is Indian as well, hand shibori dyed and dates to around the 1970s.